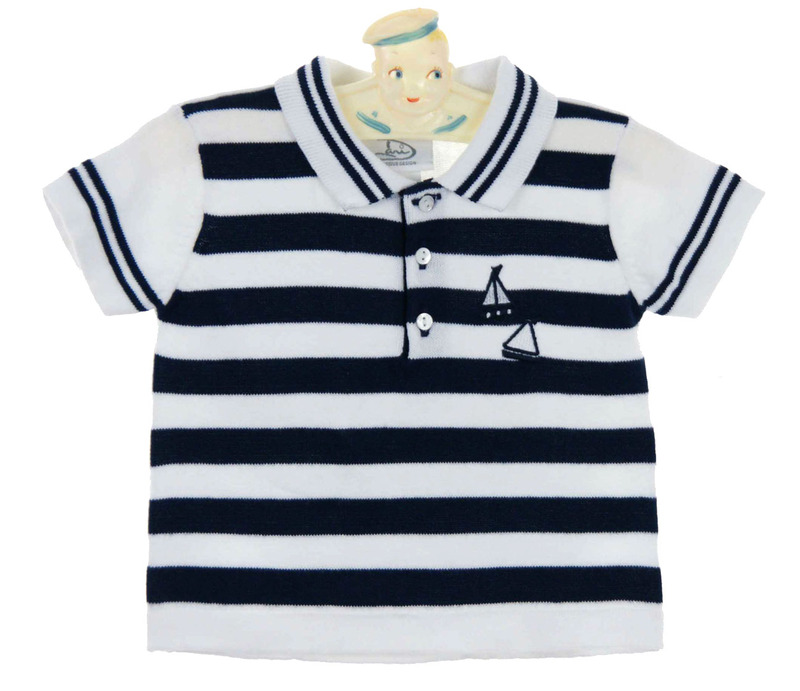 This darling dark navy and white striped polo style sweater is made by Sarah Louise, a leading British designer of beautifully detailed baby clothes for more than 20 years. 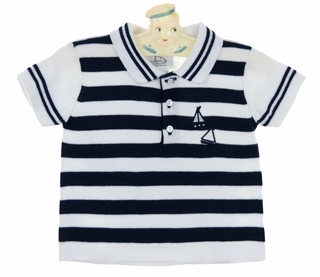 Made of soft cotton, it features a three button front closure with embroidered boats on the chest. 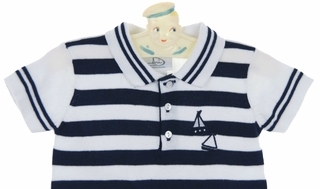 The white polo collar and short sleeves are trimmed with double narrow navy stripes. Coordinates beautifully with white pants or shorts. 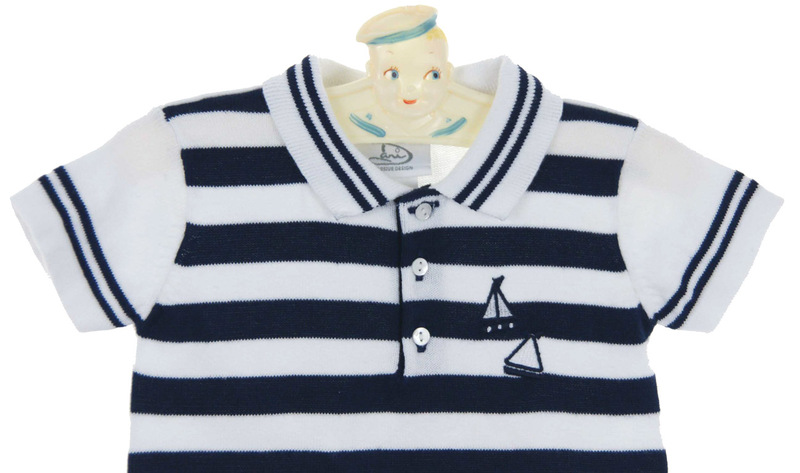 The perfect nautical polo sweater for your baby or toddler boy. Note: This darling little sweater is also available with light blue stripes. 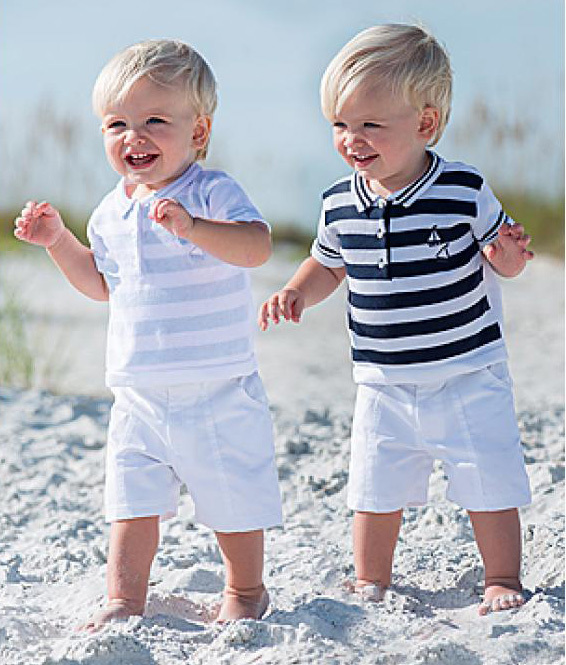 Matching romper for baby brother is also available. See below.